Accommodation at Casa do Pinheiro. Casa do Pinheiro is set in the heart of Ponte de Lima, just a few hundred meters from the village’s historical centre. The house will be deeply enjoyed by those who wish to stay near all the town’s amenities and at the same time close to the many areas of undisputed beauty of the Minho region such as the National Park, the colourful traditions and vast green landscapes. Ponte de Lima welcomes many visitors on the day before Corpus Christy when there is a tradition over three hundred years old of parading a bull through the town and on the beach. In September, the “New Fairs” bring even more visitors and is one of the most famous festivities in the north. Approximately 25 kilometers west of Ponte de Lima lies Viana do Castelo, an interesting town rich in history and tradition. Casa do Pinheiro was constructed by the end of the 18th century and suffered some changes through the years but always maintaining the same style and main features of the typical Minho construction style. In 2000 the house was partially destroyed by a violent fire which reduced it to ruins. A few years later the owners started its reconstruction respecting its details and original features while equipping it with all modern commodities and making it suitable to receive guests. 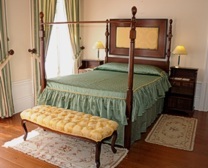 Casa do Pinheiro has three twin bedrooms and four double bedrooms. All bedrooms have private bathroom with heater towel rail, central heating and are elegantly furnished. Superior rooms have garden view and are larger than standard rooms. On the lower floor there is one twin bedroom with doors opening to the garden. Beds in this bedroom are not suitable for tall people. There are also one twin and one double bedroom with doors intercommunicating to a small private lounge with fireplace. Both bedrooms have access to a balcony. The lounge at Casa do Pinheiro has satellite television, fireplace and radio. There is also a games table in the living room. The swimming pool is set in the house’s garden which has a few fruit trees providing a pleasant shade during warmer days. Pool’s dimensions are 8 by 4 meters with depth varying from 1 to 2,10 meters. Meals may be served upon request. Casa do pinheiro. Our family spent four nights at this pretty, well appointed home located in the heart of ponte de Lima. 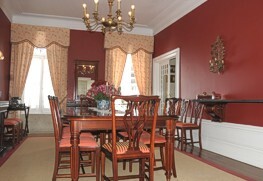 The inn keeper and sister-n-law provide a wonderful breakfast in the dining room of this stately home. They made a delicious lunch - homemade quiche, empanadas, cake, lemonade and more, which we enjoyed by way of picnic in the riverside park. Very hospitable people, rooms that were refined, comfortable but not too fussy, it was really a nice experience (fine linens, comfortable beds, good air/temperature control, quiet, plenty of space). On evenings, we stood on the balconies over looking the back yard which had a nice pool, lemon trees and seating. We were often out and about exploring the wonderful areas in northern Portugal, but when we returned we comfortably settled in to this casa. We hope to return and revisit great family memories of our stay. Our first two nights in Portugal were spent at Casa do Pinheiro in Ponte de Lima. We found both the manor house and Ponte de Lima very charming. The hosts at Casa do Pinheiro were very helpful and served excellent breakfasts with an amazing variety of home-made jams. Our room was comfortable and the house was very atmospheric. We felt that we were having a authentic and refined local experience.